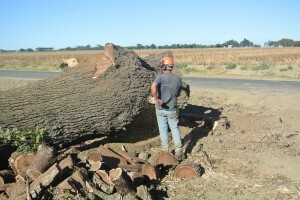 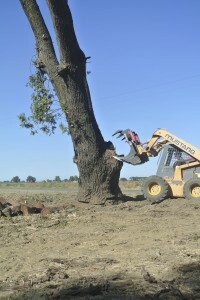 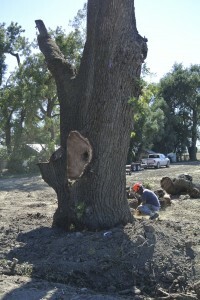 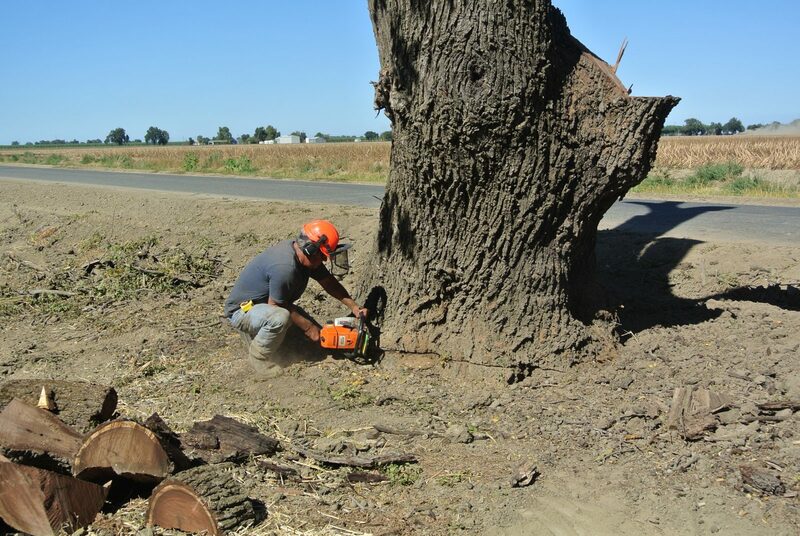 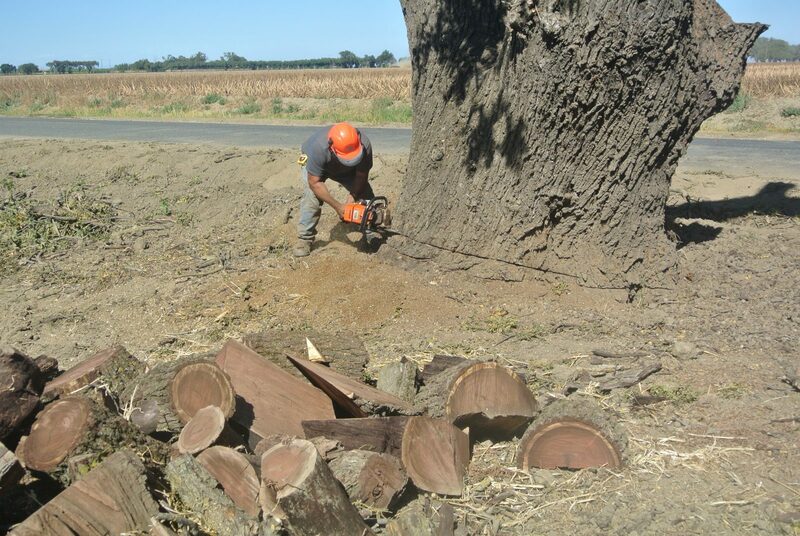 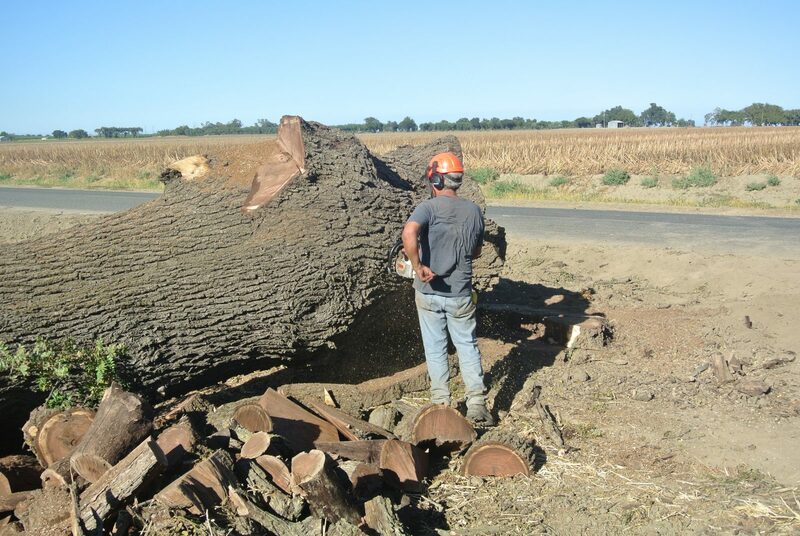 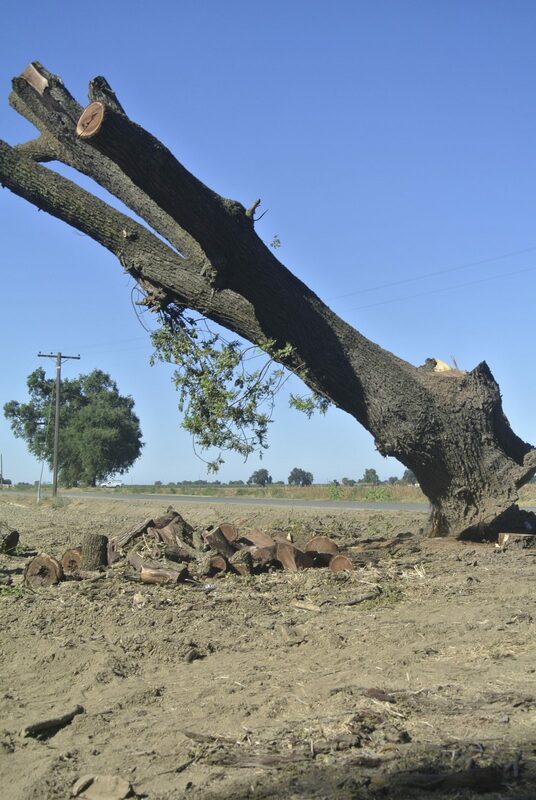 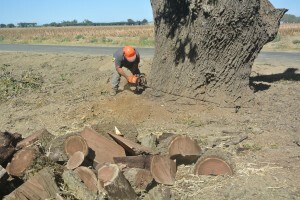 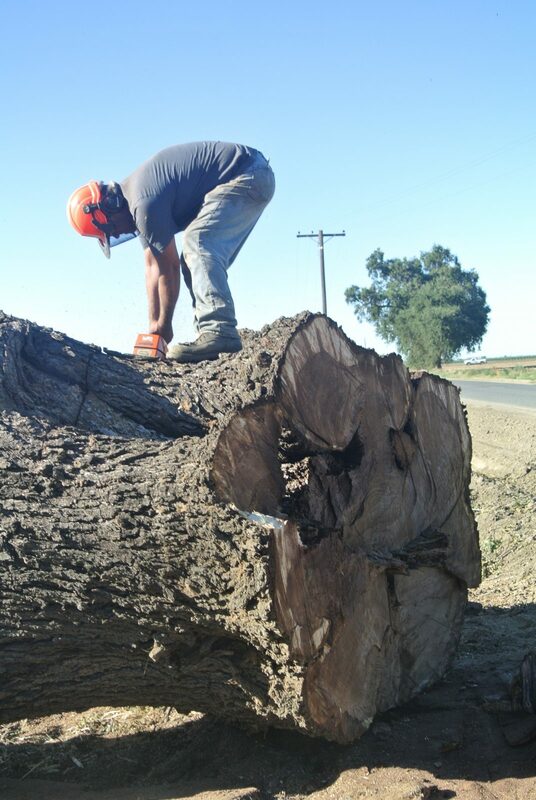 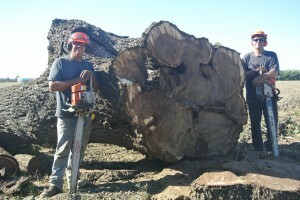 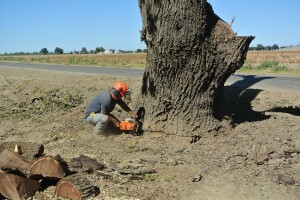 We salvaged this large Black Walnut tree from a farm in Woodland, CA. 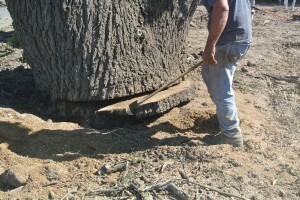 The bottom had been rotting for many years and the top of the tree began to die and drop branches. 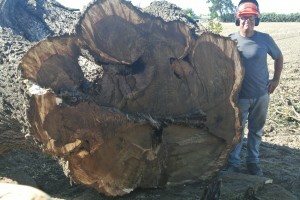 This tree stood on the corner of a piece of farmland for over 120 years. 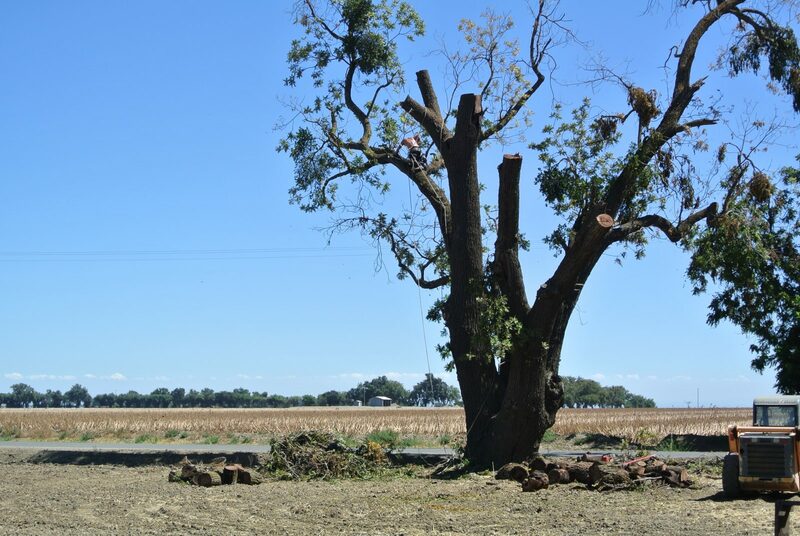 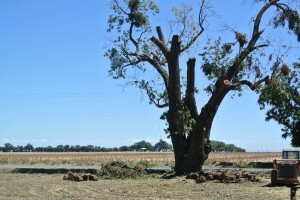 Since the owner wanted to expand his field to plant more crops and the tree wasn’t doing well, it was a great time for him to have us remove it. We will be milling this logs and the uppers into beautiful live edge walnut slabs.